Thirty people applied to participate in the School of New Translators. The qualification procedure involving independent work with two texts has been successfully completed by twelve participants. For the next three months, they will improve their skills and deepen their knowledge of Polish language, literature, and, more broadly, culture. According to this pilot programme’s assumptions, there are no experienced literary translators among the participants, but there are people of great potential whom the Book Institute, in cooperation with the Polish Institute in Tel Aviv, would like to help spread their wings. During the classes, participants will also listen to lectures on contemporary Polish literature (Prof. Krzysztof Koehler) and trends in today's Polish language (Dr. Małgorzata Ciunovič). 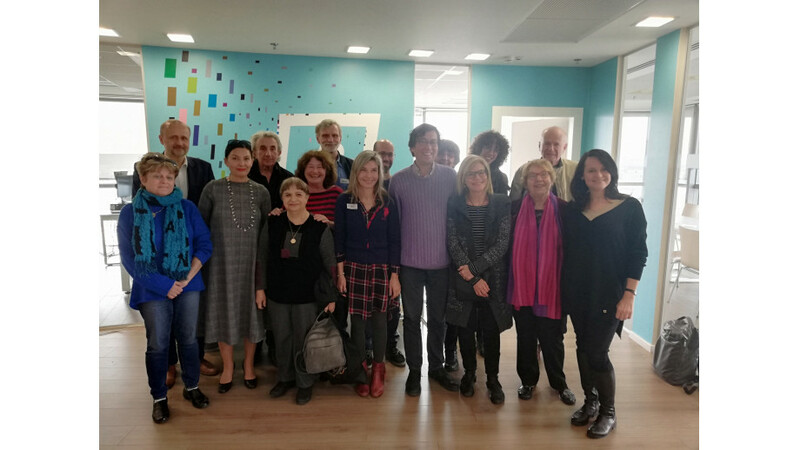 In April, at the end of a series of six workshop meetings, the Book Institute and the Polish Institute in Tel Aviv are planning to organise a meeting with the participation of translators and Israeli publishers of Polish literature. Together with specialists from Poland, they will discuss how to increase interest in Polish books in Israel. Students of the School will not be left on their own after the course. The heads of the Book Institute and the Polish Institute announced today that the best of them will have a chance to qualify for the second stage of the workshop, which will take place in autumn 2019 in Cracow as part of the Translators' Collegium in Cracow, run by the Book Institute. It will be a week-long intensive course to improve skills in translating literature and a course on knowledge of Poland and Polish culture. The Book Institute intends to apply the model of training and building new environments for translators of Polish literature developed during this pilot in Israel on subsequent strategic markets already in 2019.